We take great care to minimize our environmental impact at the store, from the grocery bags we use, to the way we handle packing materials from our shipments, and separating our recycling from garbage. Since so many of our customers are also concerned with being "green", we encourage our customers to take advantage of available recycling options. To that end, we have a few programs in place which allow customers to bring in select items for recycling that would otherwise be headed to the landfill. TerraCycle® and NOW® have partnered to create a free recycling program for NOW® flexible packaging, and we are a participating retail location to drop off. In order to recycle this waste stream properly, please make sure all excess product has been removed (i.e. leftover food). Additionally, if you choose to rinse your product, please dry prior to drop off. For every pound of packaging that Healthy Habitz sends in, we are awarded 100 points which can be used to donate to charitable causes. Once we accumulate 2500 points, we can donate to our local school. With your help, we can reach that goal and you can feel good about buying from a company that thinks about the entire life cycle of its products. Bring your used up batteries to our store for recycling through Call2Recycle. All types of batteries welcome, as long as they are not leaking/corroded/recalled and weigh 11 lbs or less. Cell phones are welcome too, although there's a better way to reuse those. 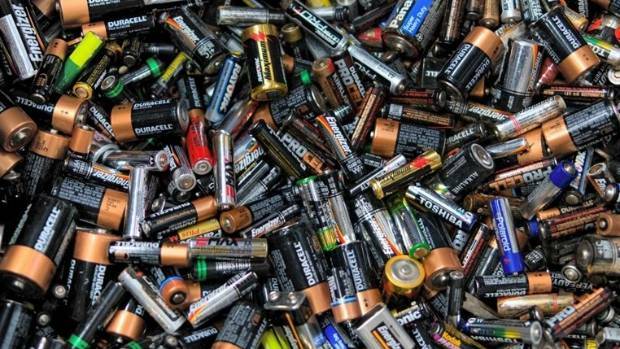 Read on..
Americans throw away millions of batteries each year. Only 10-12%of the 70 million pounds of batteries sold yearly in North America are recycled. It's important to keep these out of the garbage. Cell phones, batteries and other electronic devices contain hazardous materials such as lead, mercury, cadmium, arsenic and brominated flame retardants. These should stay out of landfills where they can contaminate air, soil, and groundwater. Moreover, they also contain precious metals worth recovering. This reduces environmental impact from mining for more virgin metals. 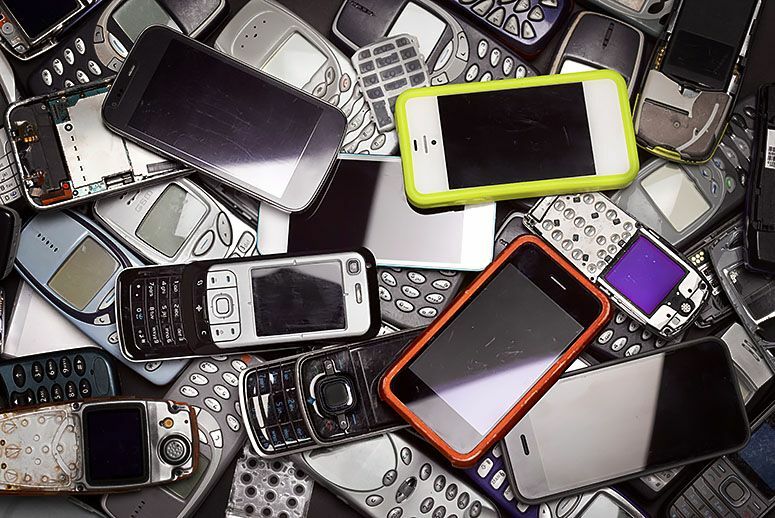 For every one million cell phones recycled, we can recover 75 pounds of gold, 772 pounds of silver, 33 pounds of palladium, and 35,274 pounds of copper. Other recoverable metals include tin, zinc, and platinum. Even the plastics can be recycled into new phone components, garden furniture, or auto parts. Get more surprising facts about how much energy is saved by recycling cell phones here. Here's the better thing to do with your old cell phones. Use this link to support healthcare programs in Africa, Asia, and Latin America by just donating your old cell phones and tablets - working or not! Medic Mobile projects support health workers in 26 countries where phones are used to register pregnancies, track disease outbreaks faster, monitor essential medicine stock and communicate about emergencies. It's FREE and there's even a tax donation form so you can take that tax deduction! For other hazardous materials, paint and electronics you may have around your house, note these DROP OFF DAYS through Mid Michigan Waste Authority to safely and responsibly purge! It's a cleanse and detox of another kind, but still makes you feel so good!